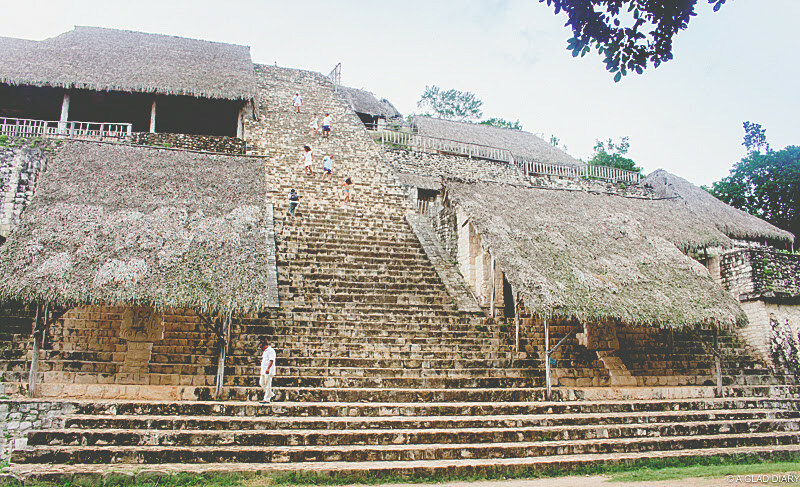 The last place we've visited on our Yucatan Day tour is at Ek Balam "The City of the Black Jaguar". The most striking building on this site is the Acropolis, pictured above. 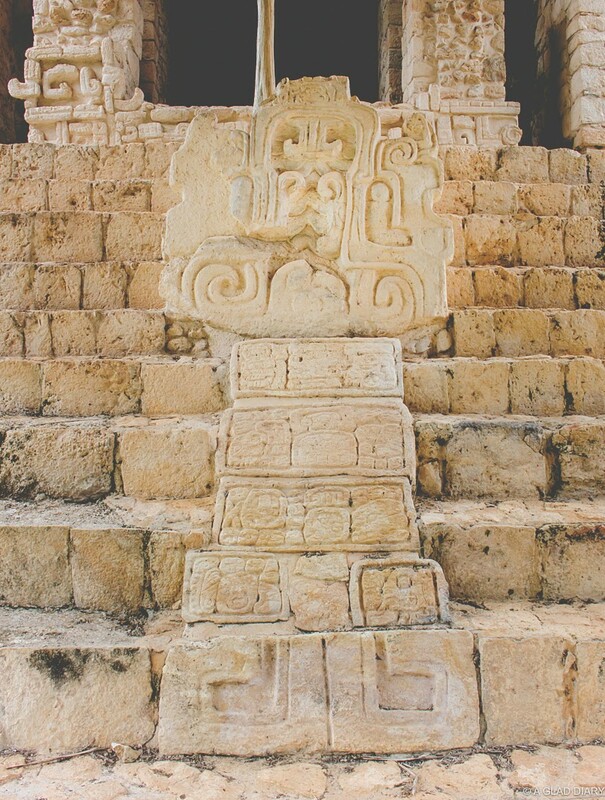 It features ornate carvings and a wall painting which conveys a mythological scene interpreted as the origin of death. 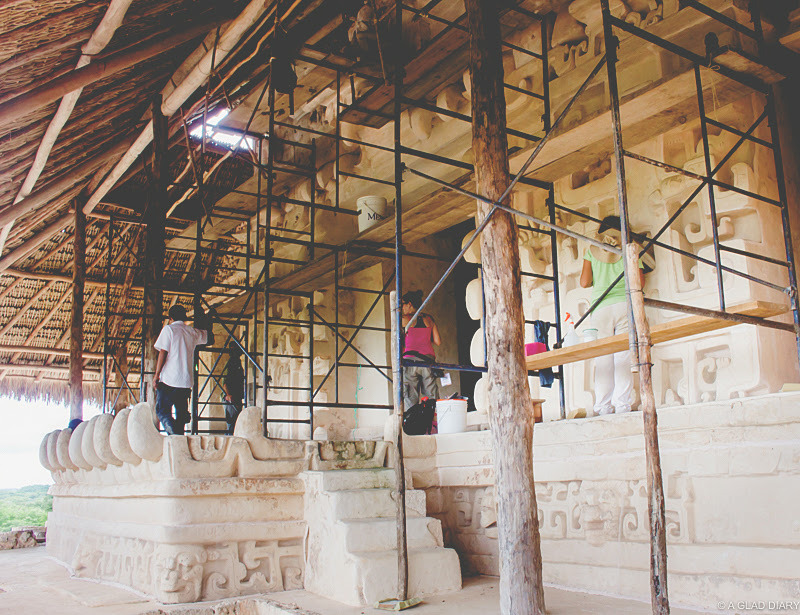 On the way up, you'll find archeologists doing restoration work of what has been. Will you allow fear to stop you from reaching the top? Almost. 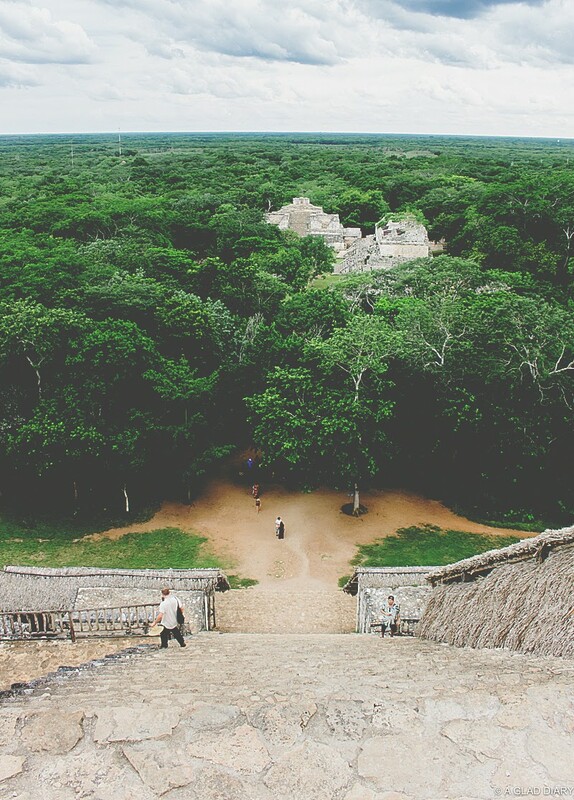 The view midway is already great but you'll get a clearer and more beautiful vantage point of the ruins and the surrounding forest on top. Come one, you're almost there! Don't let fear paralyze you. I understand it can be overwhelming especially when it feels like it's still afar off. Hey, just focus on the next step ahead. One step up at a time and don't look back. You can do it! Okay, I may look deceptively relaxed on the photo above but my legs are actually shaking. 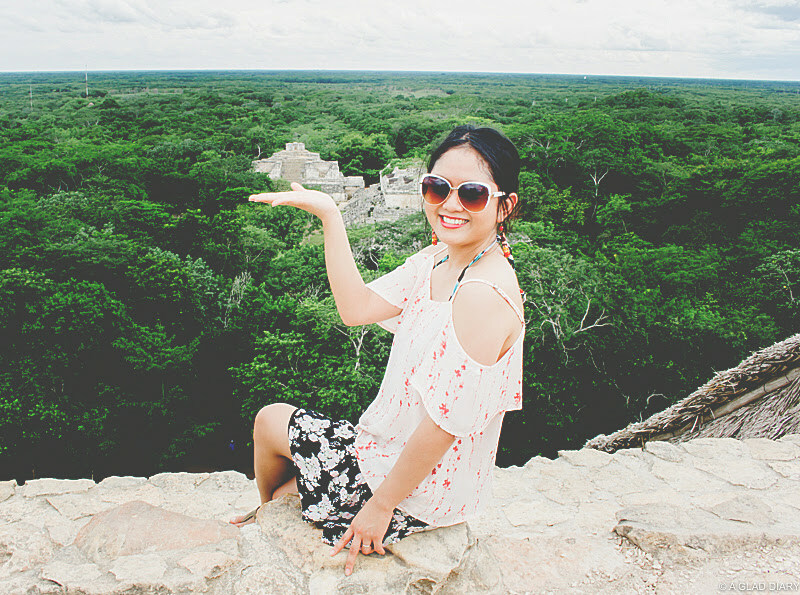 I'm really glad we were able to climb up the ruins of Ek Balam because you can no longer do it at Chichen Itza. And my tongue always mispronounces it with the word 'chicken'. What's wrong with me? The climb maybe challenging, but going down is equally the same. Mind you, there are no rails. I gave a sigh of relief the moment my feet touched the ground. Yay, I've made it! Had I allowed fear to take hold of me, I would have missed the beautiful sight that awaits me on top. A view fit for a king indeed! ;) You might want to check out what I wore while on tour from this link.